Julia Buccola Petta (1892-1921) was a housewife who became known following her death as "The Italian Bride". She was the daughter of Filomena Buccola and the wife of Matthew Petta. She died at the age of 29 in 1921 while giving birth to a stillborn son, Filippo. Following her death, Petta was buried at Mount Carmel Cemetery in the Chicago, Illinois suburb of Hillside. Petta was buried in her wedding dress. According to legend, soon after Petta's death, her mother Filomena began experiencing dreams in which Petta was telling her that she was still alive. According to her great grandchildren, Filomena's nightmares may have started about five years later, when the family moved to Los Angeles. Filomena moved back and forth between Chicago and Los Angeles until her death in 1945. Six years after Petta's death, Filomena secured permission to have the grave opened and her daughter exhumed. The coffin was found to have decomposed somewhat, but when it was opened Petta's body was still mostly intact, her son and the arm holding him had decayed. 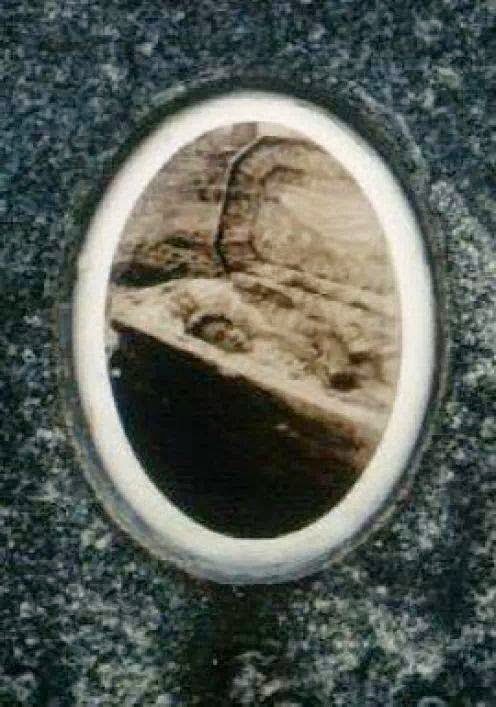 Her mother took a picture of Petta in her casket, which was placed on the monument and is still there to this day. The exact means by which Filomena secured permission to exhume the body is not known, but it is known that the costs of disinterment and the new monument were paid for, possibly to his own chagrin, by Henry Buccola, Julia's brother. The new monument featured a photo of Petta in her wedding dress was placed along with a statue of her based on this photo. The photo of Julia after exhumation also appears on the monument.